The Joint Admissions and Matriculation Board (JAMB) recently reduced the cutoff for its standardized admissions test for entry into Nigerian universities from the 40th percentile to the 30th percentile, and everyone is getting hot under the collar. While I share the philosophical anxieties of people who say JAMB’s reduced cutoff (which is basically a failing grade by every national educational standard) rewards mediocrity, I disagree that UTME scores are sufficient predictors of success in undergraduate education. In other words, a lower cutoff isn’t necessarily indicative of a lower standard of education. As I will show shortly, there is absolutely no relationship between quality of undergraduate of education and scores in standardized admissions tests. In any case, JAMB says its cutoff is only a recommendation, which universities are at liberty to pass up. Study after study in the United States and elsewhere has shown that standardized tests—such as the Unified Tertiary Matriculations Examination (UTME), equivalent to America’s SAT (Scholarship Aptitude Test) and ACT (American College Testing)—are not accurate indicators of academic preparedness for undergraduate education. This finding isn’t unique to the United States. Several other studies elsewhere have affirmed that standardized tests for entry into schools aren’t always accurate gauges of academic achievement and aptitude. They are usually merely a measure of performance on the test itself, or of aptitude in test-taking, and nothing more. That is why nearly 1,000 universities and colleges in the United States don’t require SAT and ACT scores for university admission. In the UK, only a small number of universities require subject-specific standardized admissions tests, usually for courses such as mathematics, English literature, law, and medicine. Most universities accept results from “A” level exams and school leaving certificate exams. I am not by any means advocating the discontinuance of the UTME, although nothing would be lost if it’s discontinued. Nor am I suggesting that there is no link whatsoever between performance in the UTME and academic preparation. Of course, many smart people do well in standardized tests, including the UTME, but many other smart people don’t. It’s unfair to, as we do in Nigeria, institute the UTME as the only valid criterion for admission into higher education institutions. In other words, no one should lose a place in university solely because they performed poorly in the UTME, especially if they have excellent WAEC/NECO result. That’s my understanding of the spirit of the new JAMB cutoff. I know of scores of people who did poorly in UTME (which used to be called UME) but graduated with high honors and went ahead to succeed in the “real world.” And that’s what really matters in the end. Admission into universities should be judged by a composite of criteria of which UTME scores should just be one. WAEC or NECO results, essays, letters of recommendations from former teachers, and UTME scores should be equally weighted in admission decisions. A candidate who, for instance, has 8 A1s, a thoughtful, well-written admission essay, great recommendations from former teachers but a weak UTME score should be put on a par with a candidate who has a stellar UTME score, a mediocre but acceptable WAEC or NECO result, great recommendations from former teachers, and an insightful, well-written admission essay. And so on. My point is that the current system for admitting students into universities in Nigeria is broken and is in desperate need of some radical reform. It’s a system that suppresses talents, denaturalizes genuine educational pursuit, and overemphasizes the importance of a lone standardized, possibly defective, test. I am aware that the Ministry of Education has recently countenanced the re-introduction of so-called post-UTME tests. But it’s an extortionate scam. Everyone knows this. You can’t revalidate one standardized test with another arbitrary standardized test. There is nowhere in the world that happens. As many people have pointed out, the post-UTME exams are little more than opportunities for universities to swindle students and parents. Insist that universities remit all the money they make from the tests to federal coffers, and I bet you that they would stop the tests. If universities are truly interested in winnowing qualified candidates from a long list of applicants, they should start the process of constituting admission committees composed of both lecturers and staff from the registrar’s offices of higher ed. institutions. The committees, which should be recomposed every admission cycle, should draw up criteria for admitting students. A good starting point is to consider recommendation letters and admission essays, maybe even interviews for courses that require it, in addition to WAEC/NECO results and UTME scores. Each criterion should be weighted. I know this seems cumbersome and time-consuming. And, given our almost compulsive propensity for fraud in Nigeria, there is a potential that admission committees could become rackets to rip off parents and students. But this is already happening. 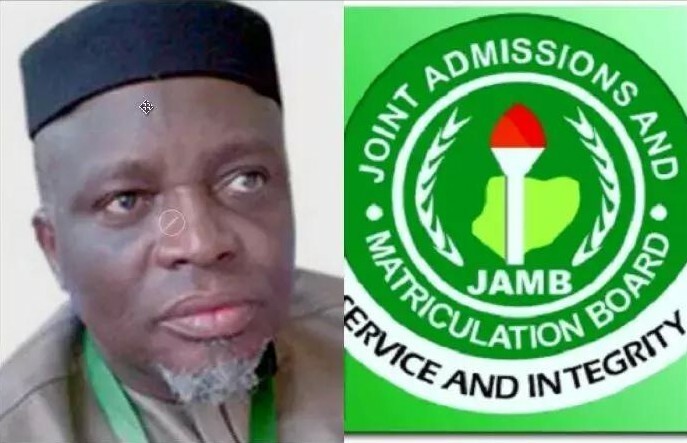 The admission formula recommended by JAMB (which reserves quotas for merit, catchment area, educationally less developed states, and university discretion) is hardly followed. What are the chances that admission committees would work or, worse, that insisting on a composite of criteria for admission won’t open the floodgates to all sorts of chicanery? These are legitimate concerns, but the current system that stymies promising students who do poorly in UTME tests, even if they do well in their school leaving certificate exams, is worse than my recommendation.